Meets the performance criteria for fit testing respirators under the current OSHA Standard for Respirator Protection: 29 CFR 1910.134, Appendix A. 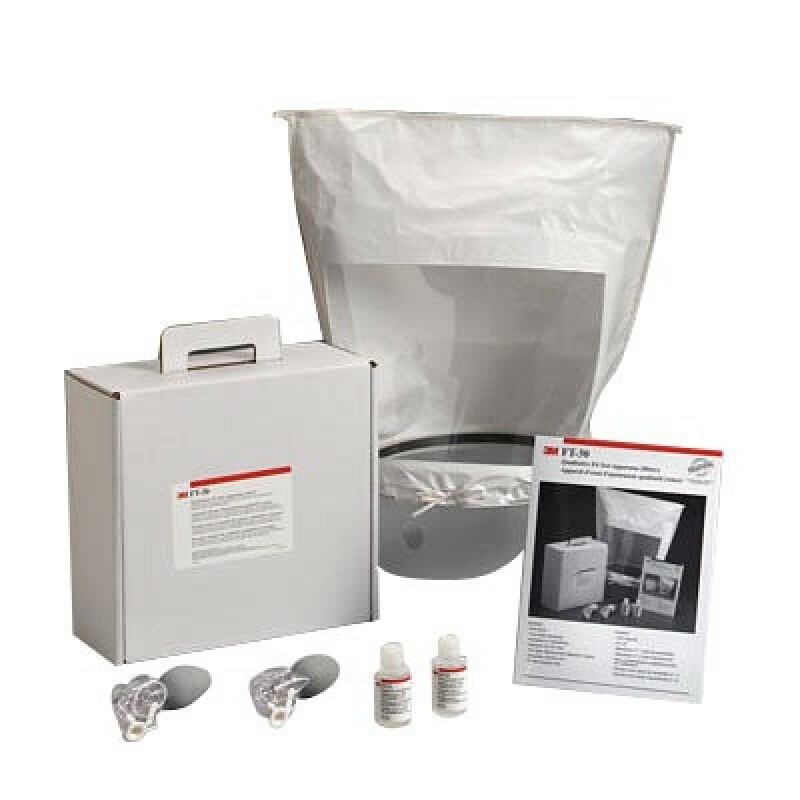 3M Fit Test Kits can be used with any particulate respirator or gas and vapor respirator with a particulate filter to test facepiece to face seal fit. These fit test kits can help satisfy OSHA requirements. Simply spray the fit test solution into the hood environment. If the wearer does not detect the test agent's taste, an acceptable fit has been demonstrated. Can fit test approximately 150 employees.